So I’m looking at my site stats, not expecting much because I haven’t been writing much and I discovered that one of the sites referring to mine is is this one – it goes to the Harvard College Library. I guess I ought to do something to earn that – like writing posts on a more regular basis? 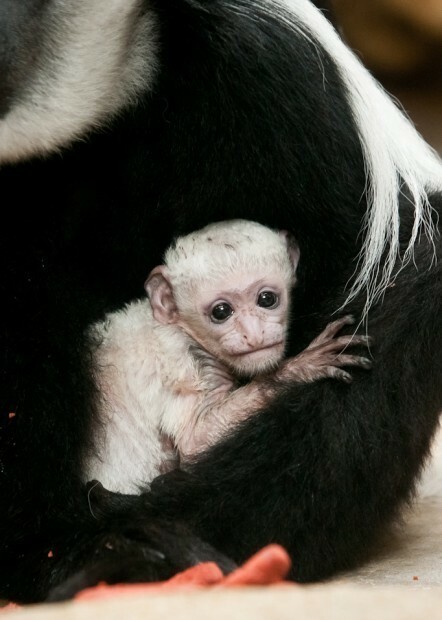 New Baby Black and White Colobus at the St. Louis Zoo! Filed under: Primates | Tagged: Black and White colobus |	Comments Off on New Baby Black and White Colobus at the St. Louis Zoo! Hosting for the current site for the Four Stone Hearth is set to expire on 06/28/11. Consequently, I have created a new, free site, for the Four Stone Hearth. Please adjust your bookmarks and pass the word! The previous site was an FTP site and had limited functionality. The new site has a webpage and a blog – which means RSS feeds are now available. The new site is live, but still a work in progress so let me know what you think.